Please click here to see the edition of BuilderBytes for 4/30/15 on the Web. Please click here to see the edition of BuilderBytes for 4/28/15 on the Web. 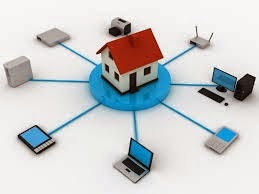 Fast-forward to 2015, however, and it’s a completely different world for the connected home. Most importantly, consumers are now asking for it: according to a consumer survey by smart-home vendor Savant, about half of the respondents believe home automation will become a common feature in their home in less than a decade, with a quarter thinking it will take just five years for widespread adoption. Industry analysts seem to agree, with Strategy Analytics forecasting that nearly 40 percent of homes in the U.S. will have some type of smart-home technology installed by 2019, creating a market worth up to $115 billion. Another industry analyst, Gartner, predicts that the number of connected devices worldwide will reach 26 billion by 2020, or nearly 30 times the level of 2009. You can largely thank the popularity of the smart phone for this rise in the demand for a connected home, as the computing power in most people’s pockets or purses can now replace the variety of historically pricey, vendor-specific smart home control devices. In addition, today’s more robust wireless systems have effectively removed the need to provide hard-wired systems throughout the house. Not to be outmaneuvered by after-market sources including Apple, Google, Samsung, Home Depot, AT&T and others, Meritage Homes has introduced its own basic wireless system as a standard feature. 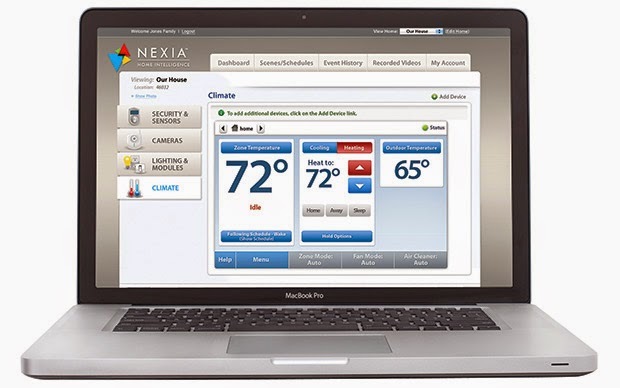 For under $500, Meritage pays for a Home Intelligence System by Nexia which can control thermostats, lighting, security cameras, door locks and more. 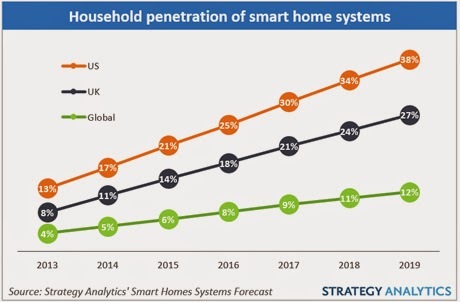 In addition, since ‘future proofing’ past connected home technology was a major stumbling block for widespread adoption, the fact that Nexia offers a flexible, open-source system which can adapt to changes in technology or users’ preferences is a critical improvement for this market. Even better, once buyers move in, they can order plug-and-play products from Nexia’s Web site – such as those to connect water valves, light switches and smoke detectors – that are shipped to their home for self-installation. 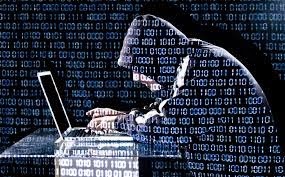 Still, given the recent computer system breaches such as those suffered by Sony Pictures, Target or even the White House, there is also a concern that preventing hackers access to these home networks isn’t getting the attention it deserves. In fact, Hewlett Packard found in its own study that 80 percent of smart home systems accepted logins that could be guessed easily, while 60 percent didn’t properly encrypt data for software downloads. Consequently, it’s a bit ironic that two-thirds of respondents polled for an iControl Networks survey – and included in its 2014 State of the Smart Home report – considered security to be the top priority for themselves and their families. However, assuming these security issues can be addressed, nearly 20 percent of these same respondents would consider leaving their children home alone at a younger age if they had a live video feed acting as an assistant babysitter. 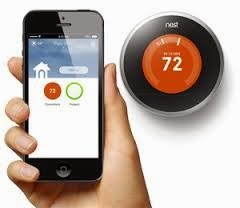 Another major factor driving the adoption of smart home technology is monitoring energy use, which is why the Nest learning thermostats and smoke alarms (now owned by Google) have changed the way consumers view products long taken for granted. Yet in the long run, it’s not so much the devices themselves as the communication ecosystem they’ll create to communicate with utility providers. If a network can effectively combine the right energy-saving steps at appropriate times, then peak loads for energy demand can be reduced, thus preventing the need for more power plants even as the population increases. Some utilities are already encouraging this change by offering reward programs – and even rebates – for those households which use and install smart thermostats to curb peak power use. Finally, for many survey respondents, the best use of a connected home would be the ability to watch over the non-human members of their families, with over half of pet owners citing pet monitoring as a top five reason for installing smart home services – even more important than outdoor convenience and entertainment. Whatever the reasons for installing and using smart home technologies, this much is clear: if builders aren’t willing to adjust their production schedules to offer these systems, buyers today will simply get them elsewhere. Please click here to see the edition of BuilderBytes for 4/24/15 on the Web. Please click here to see the edition of BuilderBytes for 4/23/15 on the Web. Please click here to see the edition of BuilderBytes for 4/21/15 on the Web. Please click here to see the edition of BuilderBytes for 4/17/15 on the Web. Please click here to see the edition of BuilderBytes for 4/16/15 on the Web. Please click here to see the edition of BuilderBytes for 4/14/15 on the Web. Please click here to see the edition of BuilderBytes for 4/10/15 on the Web. Please click here to see the edition of BuilderBytes for 4/9/15 on the Web. Please click here to see the edition of BuilderBytes for 4/7/15 on the Web. Please click here to see the edition of BuilderBytes for 4/4/15 on the Web.